LBi is running the Cannt Festival for adlanders who are unable to make the trip to the South of France for next week's event. The festival will run across East London from Sunday for a week. LBi's executive creative directors Simon Gill and Laura Jordan Bambach are behind the event. Last year the duo organized a smaller version with SheSays and Meat Club. Agencies including Wieden+Kennedy, Mother, Poke, Skive, Soup, Rehab Studio, Plan B Studio and AMV BBDO will take part in the Cannt Festival, which includes a Battle of the Bands and Gutter Bars. 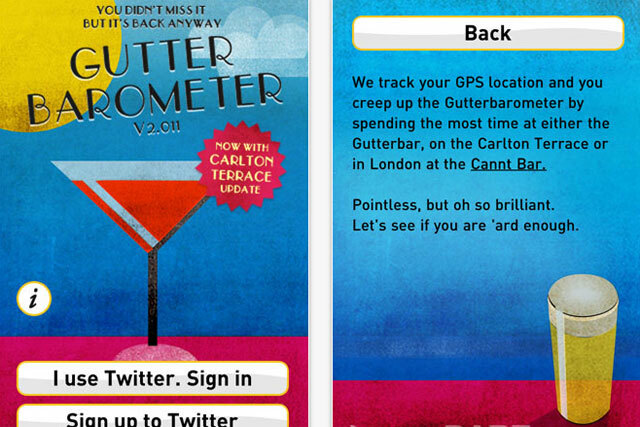 There will also be a link-up to the real advertising festival taking place in Cannes through the Gutterbarometer app. Jordan Bambach said: "Cannt is a festival born out of the desire to thank all the folk that contribute so much over the year to the success of their agencies at Cannes, but don't have an opportunity to go. "We're keen that in this inaugural festival year we support and connect as many agencies, colleges and other people involved in making the great work as possible. "Our hope is that this will be the beginning of a yearly celebration by the whole industry, for the industry."